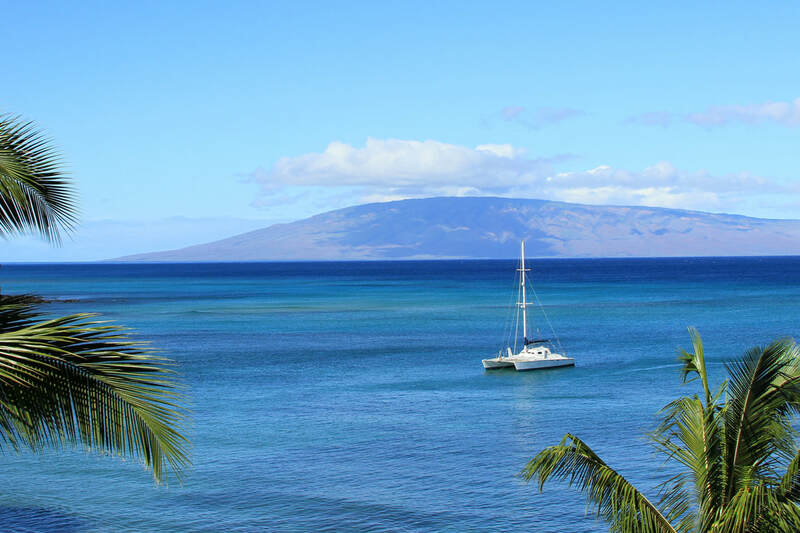 These West Maui condo rentals are located in the popular areas of Kaanapali. The Kaanapali area stretches from Hanakao'o beach park in the south to Kaanapali Shores condominiums in the north. There is a "Beach /Board Walk" that you can walk/jog the whole way. Kaanapali was Hawaii’s first planned resort and has become a model for resorts around the world. Five hotels and six condominium villages face this renowned beach. Whaler's Village is the open air shopping center, a world-class complex that has a variety of exceptional shops and restaurants, a renowned whaling museum and free Hawaiian entertainment. Kaanapali has two championship golf courses, the Royal Kaanapali and the Kaanapali Kai, where in season you may even see a breaching whale as you try to line up a shot. CLICK ON THE "NAME" OF THE CONDO / RESORT YOU'RE INTERESTED IN TO GET MORE INFORMATION AND A LIST OF UNITS AVAILABLE. These luxuriously appointed condominiums are perfect accommodations for the family or even a honeymoon getaway. Complete with gourmet kitchen, washer/dryer, sunken living room, air conditioning, master bath Jacuzzi tub, cable TV, telephone and private lanai. The grounds are a tropical paradise, featuring a swimming pool, spa, sauna, gym, tennis and barbecue area. Shopping, dining, recreational activities and the breathtaking Kaanapali Beach are all at your fingertips! The Kaanapali Alii is considered one of Maui's finest. Located directly on the famous Kaanapali beach. Part of the Kaanapali Beach Resort that includes the Kaanapali Golf courses and Whaler's Village. You can spend your days lounging by the ocean front pool and Jacuzzi, snorkeling with turtles off the famous Black Rock. Next door to restaurants and shops of Whaler's Village. Nestled on the hillside of Kaanapali, these spacious two and three bedroom Maui condos offer panoramic views from the islands of Lanai to Molokai. Located within the Kaanapali Resort complex and just off the Kaanapali North golf course. Studio and two bedroom units are all spacious accommodations. All units have air conditioning. Studios and one bedrooms are spacious, air conditioned, beautifully furnished and afford breathtaking ocean views from their lanais. Dining at the on-property ocean front Castaway’s Restaurant or stroll down the beachfront walkway to experience the flavors of Duke’s Beach House. Kaanapali Royal, in the heart of the Kaanapali Resort area, is resort living at its finest! This Kaanapali Ocean Resort villa style condominium property rests on the world championship Royal Kaanapali Golf Course. Ocean and garden views. This vacation rental is an individual cottage, private Ohana-type building sitting right on the Kaanapali Golf course. Offering partial ocean views, this Maui condo has beautifully manicured grounds, multiple relaxing pool areas and is minutes away from The Whaler’s Village. Honua Kai is Maui's newest beachfront luxury resort and is located on a spectacular 38 acre site on North Ka'anapali Beach. The Honua Kai expresses a new level of contemporary Hawaiian luxury with its suites featuring gourmet kitchens, granite counter tops & flat screen televisions in each room. The Mahana offers all oceanfront studios, one and two bedroom unit’s right on the Kaanapali’s scenic North Beach. Miles of open, open beach await you for strolling and world-class snorkeling while breathtaking oceanfront views meet you from your living and bedrooms all with central air. Kaanapali Shores feature comfortable air conditioned studios, one and two bedrooms condos. Offers two pools, a sauna, two jet spas, three tennis courts, gift shops, a salon, a convenience store, fitness center (fee) and multiple eating establishments right on the property!